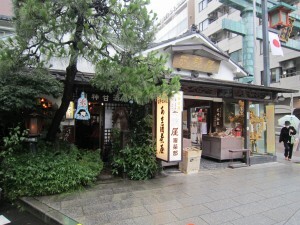 Thayne-san, today we’ll be visiting Amanoya, located right outside the symbolic gate of Kanda Shrine. 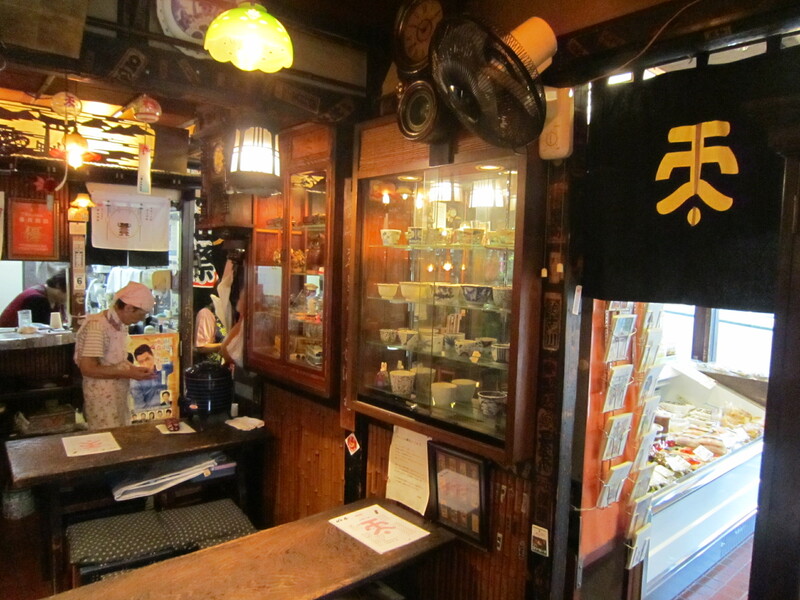 It’s an amazake shop established in 1846. Hello, Thayne-san and Concierge-san. I’m Kametarou Amano, head of Amanoya. Hello, Amano-san. I’ve actually been to this shop before. 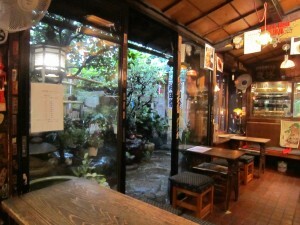 I visited Kanda Shrine and, afterwards, I took a break here and drank amazake. It’s a quaint Japanese-style shop decorated with antique clocks, model-trains, and all kind of collectibles, so it has a wonderful atmosphere. Thayne-san, Amano-san is also famous for his antique collection. Amanoya: located right outside the Torii gates of Kanda Shrine. Bustling with customers year-round, the interior of the shop is filled with antique clocks, model trains, and lamps. That’s amazing! What do you think you’d be doing if you hadn’t been born into the Amanoya family? Locomotive maintenance or that sort of career always fascinated me. You’ve certainly fulfilled that dream with your hobbies! By the way, Amano-san, what generation are you in the family business? Was the founder able to get revenge? No, I heard he never found his enemy. That’s a shame! 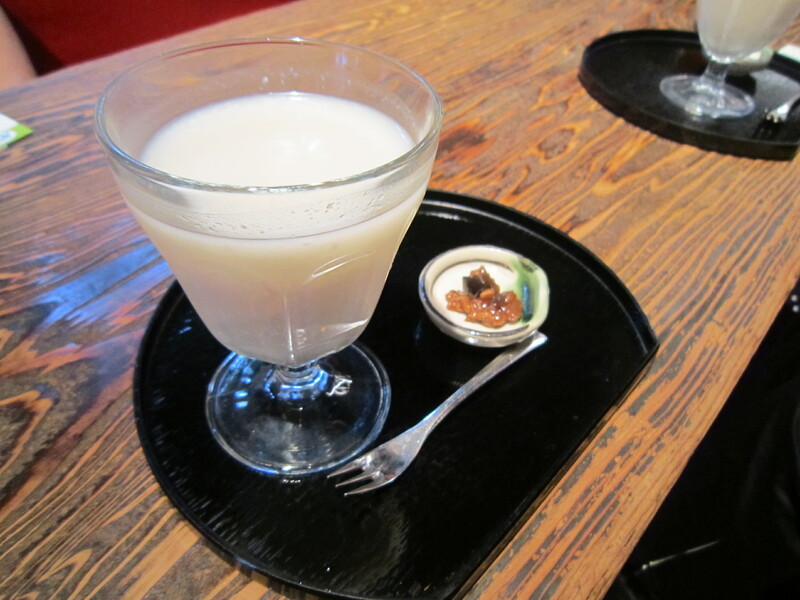 Well, if they had met, we might not be here drinking this delicious amazake. Amanoya’s amazake is served cold in summer and hot in winter with a salty miso paste, which is another famous Amanoya treat. .
It’s delicious! It’s the perfect level of sweetness. The old-time people of Tokyo probably loved it too. It doesn’t have any sugar. The natural sweetness comes from the fermentation. A lot of people don’t know this, but amazake contains no alcohol. That’s why the common people of old-time Tokyo, from adults to children, enjoyed the sweetness everyday. The main ingredient is glucose. 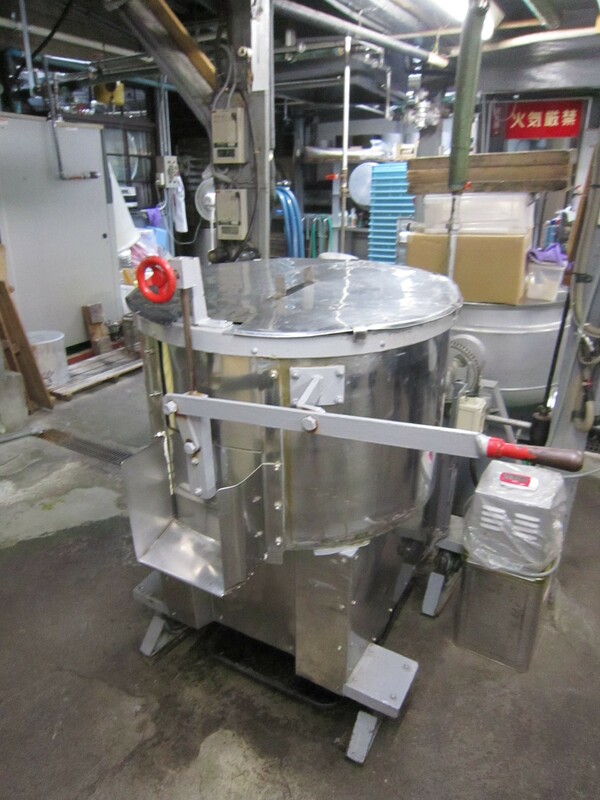 How long does it take to make amazake? The raw materials for amazake are rice and fermented koji. Initially, the rice is washed and soaked in water on the first day. On the morning of the second day, the rice is steamed then cooled to around skin temperature. 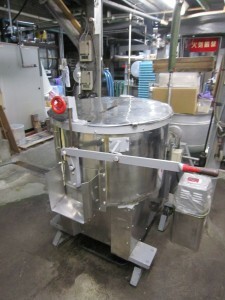 The koji mold is added and the mixture is fermented in the cellar. The temperature rises during the first round of fermentation, so we hand mix and spread out the rice repeatedly. From the third morning, we move the rice to the fermentation room, where the temperature is between and 40 degrees and the humidity at percent. Under these conditions, the mixture undergoes the round of slow fermentation. On this day, we repeatedly do various hand-on processing. On the morning of the fourth day, the amazake is basically finished, but it’s then matured for an additional two days. In other words, the process takes about one week from start to finish. It’s right here, in a cellar six meters below the shop. Would you like to see it? In the basement?! Yes, we’d love to see it. The cellar, six meters below the shop, is where the koji mold is created. This is the cellar? Wow! It’s a little chilly, isn’t it? 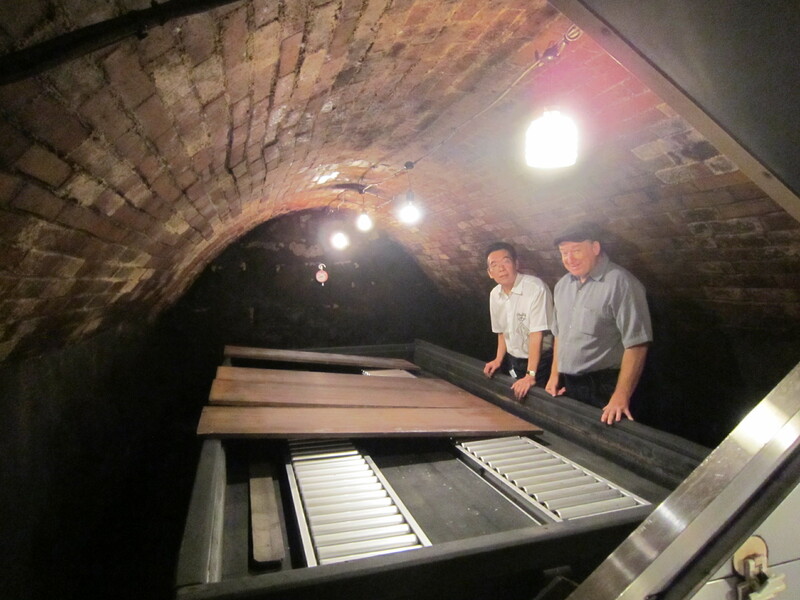 The cellar stays between 18 and 20 degrees year-round, so it feels cool in summer and warm in winter. If you look closely at the walls and ceiling, you can see a buildup of koji mold. 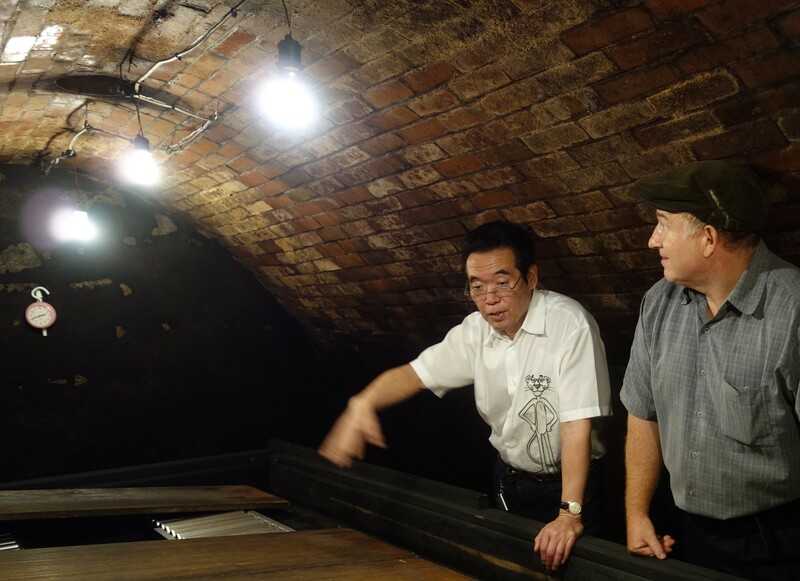 The mold that lives in this cellar gives Amanoya’s amazake its distinct flavor. You mentioned earlier that processing this mold requires repeated hands-on maintenance, so you mean you really use your hands and not any sort of tool? That’s right. In order for the mold to ferment and stay active, it’s important to regulate the temperature. The temperature that promotes fermentation is also ideal for the microorganisms to reproduce, so it’s important to keep unnecessary mold from multiplying. Not only amazake, but also our Hisakata Miso [eaten as a flavoring with rice, etc.] and miso soup-based Edo Miso are distilled using the koji from this cellar. You also make miso here?! Yes, we do. We don’t use any additives and it’s genuine miso that takes a year to make. 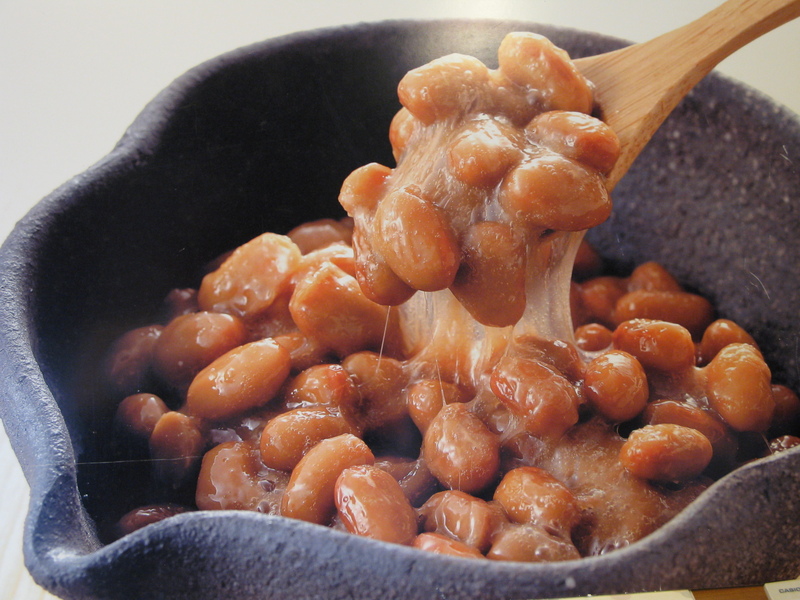 The miso and natto are made in separate rooms, so it doesn’t mix with the koji mold. Our Shibasaki Natto uses large that give off a true bean flavor. Have a taste. I’ll also show you around the first floor of the production area. It’s compact, but very well organized and seems quite clean. It’s a wonderful factory! It’s a bit unexpected that various fermented food products are created in the middle of Tokyo. I’m impressed! It’s a small family-run factory, but we put our whole heartーplus our time and effortーinto making sure the flavor remains unchanged over the years. When you make a product, you might want to try out different things, but that can have strange results. I guess the unchanging flavor, along with your dedication and hard work, is what makes it possible to hand down the traditions from one generation to the next.